We at CWP want to participate in the protection of nature – we do it ecological way with ecological colors – we are proud of our ecologically dyed wood. Also all the raw material – birch veneers – is sourced from sustainable forests. Our production processes allow us to utilize the material to the maximum efficiency. Carefully selected birch is a pleasure to colour. Our expertise is based on the control of colours during the dying process. In through dying we utilize environmentally friendly methods, which contains no harmful substances. We continuously develop our processes and technologies in order to achieve the best results. Materials made from through-dyed veneer can be used in replacing endangered wood species from rainforests or developing countries, such as brown merbau or blackish wenge. Thanks to through-dying, wood can receive the tone the customer needs in an ecological way. We want our customers to be able to enjoy products made from through-dyed veneer for as long as possible. Thanks to through-dying, the colour penetrates through the entire thickness of the material, and the surface can be renewed by sanding without loss of colour. Through-dyed veneer allows for a longer product lifetime, thereby putting less of a burden on the environment. As it grows, wood binds carbon dioxide from the air. Products made from wood act as carbon storage as the carbon stays in the products throughout their lifecycle. Why to choose through-dyed wood? Choosing wood is an ecological act in itself. Thanks to through-dying, the colour penetrates through the entire thickness of the material, and the surface can be renewed by sanding without loss of colour. Using through-dyed materials in products allows for a longer product lifetime, thereby decreasing the stress to the environment. CWP:s reconstituted veneers are environmentally friendly and healthy choice. Reconstituted veneers are tested by Finnish research institute VTT Expert Service Ltd. concerning formaldehyde emission. CWP carry out the EN 717-1 standard. 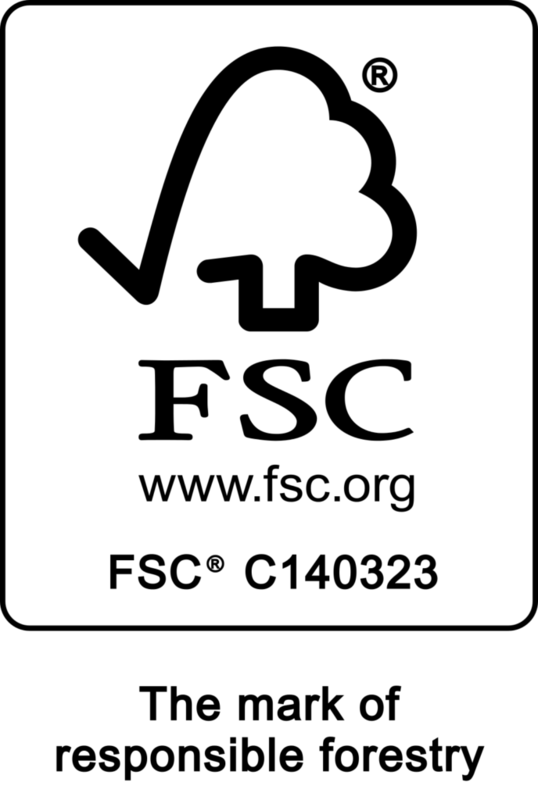 FSC certification guarantees that the products are responsibly sourced and made. All the rawmaterial, which are used in CWP products, are FSC certified.